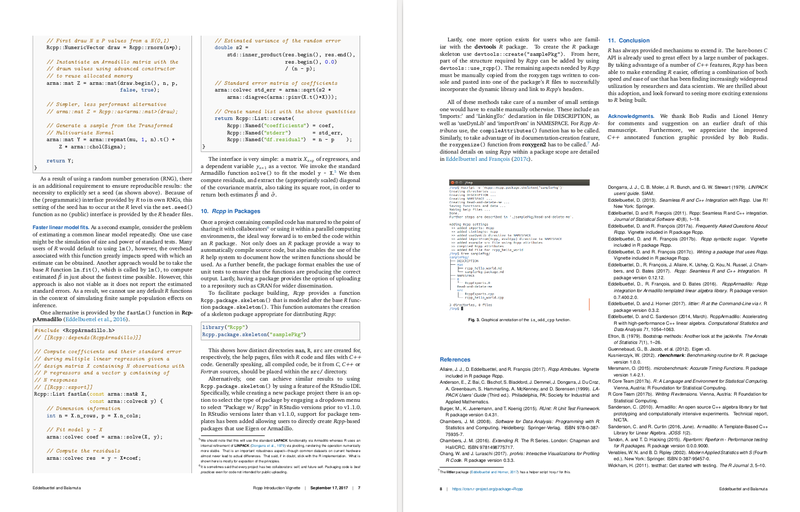 A 'PNAS'-alike style for 'rmarkdown', derived from the 'Proceedings of the National Academy of Sciences of the United States of America' ('PNAS', see < https://www.pnas.org>) 'LaTeX' style, and adapted for use with 'markdown' and 'pandoc'. The template provided by the PNAS Article template in the rticles package makes it very easy and convenient to create attractive looking two-column papers with an option to switch to a one-column paper. 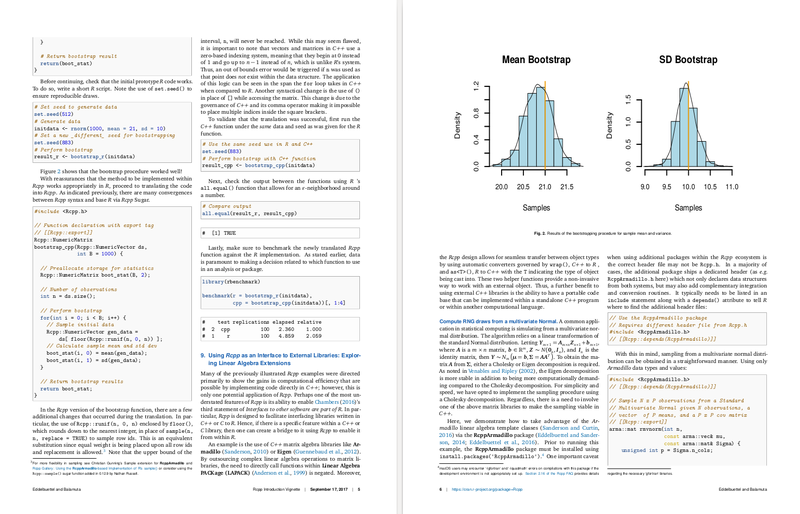 There were however a few changes we wanted to make such as the use of standard natbib citations, more extended use of color, a different font as well as the removal of a number of PNAS-specific title page items as well as general code and use simplification via a single LaTeX class file. So this pinp package started. 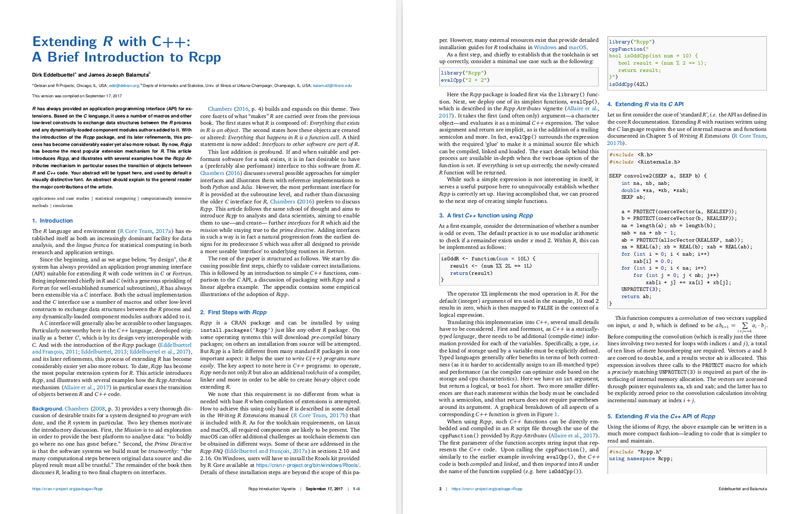 A complete pdf example of the two-column default template is provided here by the new introductory Rcpp vignette, which is itself based on our PeerJ Prepint. Other Rcpp vignettes have been converted as well. The package is working as expected, and available via CRAN. to create a first draft of a new mypaper.Rmd. Beyond the R package dependencies, a working pandoc binary is needed. RStudio installs its own copy, otherwise do what is needed on your OS (i.e., something like sudo apt-get install pandoc pandoc-citeproc). Dirk Eddelbuettel and James Balamuta, leaning on the earlier work by JJ et al in the rticles package. 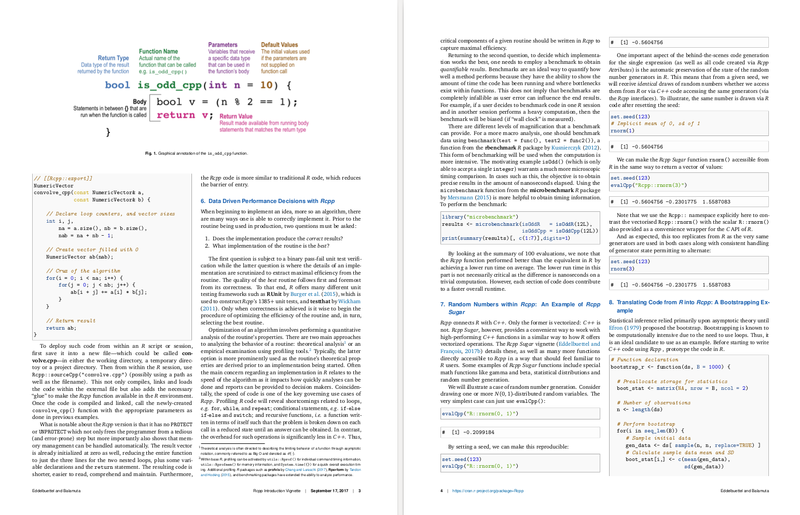 The authors of the underlying PNAS LaTeX Style are not explicitedly listed, but PNAS refers to Overleaf. GPL-3 for this package, as well as the short code taken with grateful acknowledgements from the rticles package. 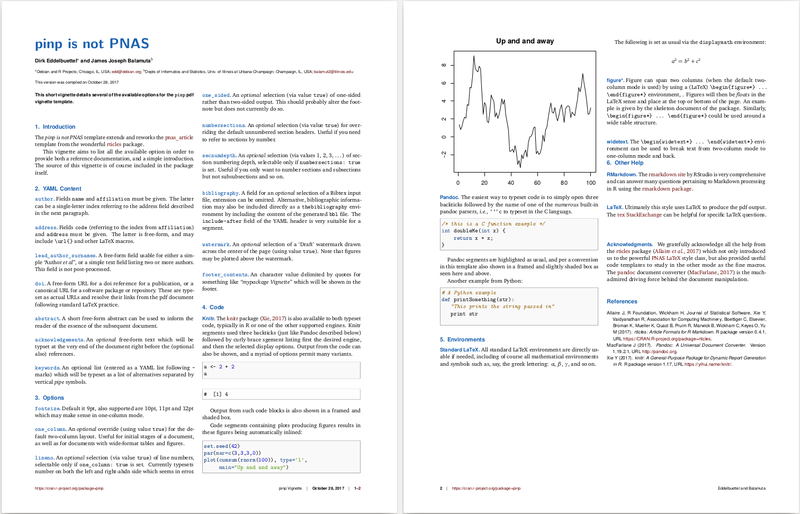 The main PNAS LaTeX style file (and supporting files) are under the LPPL (LaTeX Project Public License) version 1.3 or later.